I hope this isn’t a fake, I suspect it isn’t. 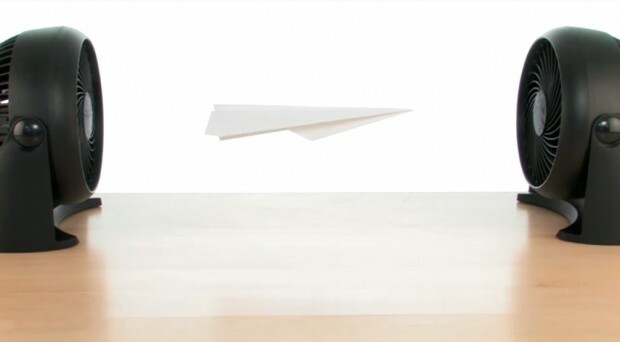 Here’s a paper airplane hovering between two fans. If I had two identical fans handy, I’d totally try this. Edit: Confirmed fake, see comments. I did it with my friends, but we can’t make it float for long time. It just fall less than 5 seconds like a free fall. But there is a possibility for our mistake to make a condition, so if you success that without any tricks, please share with us.